Mike Wolf spent four years as an undercover investigator in factory farms, and was involved with large investigations, including the 2007 effort against a Smithfield pig producer that led to 22 criminal charges against six workers. Now, Wolf serves as the director of investigations for the nonprofit animal advocate group Compassion Over Killing. He's overseen several large initiatives, including investigations of Pilgrim's Pride and Central Valley Meat, a beef supplier for the federal school lunch program. [Warning: links contain graphic content.] 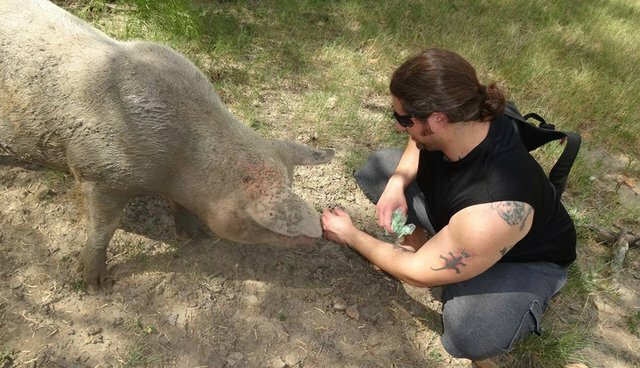 He's also a vegan powerlifter. 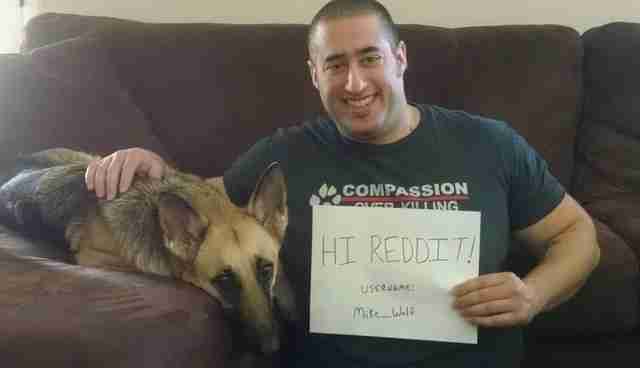 On Wednesday, Wolf held a Reddit AMA to discuss his time undercover and his fitness regime. Here are 10 of his best answers. What were the most shocking conditions you witnessed during your undercover investigations? It is so hard to compare one terrible thing to another and say which one is worse when they both cause such suffering to the individual who it was inflicted on. In my eyes, though, the hardest thing for me to see was the pig castration. When someone takes a blade and tears open the flesh of a pig's scrotum [without anesthesia], and rips out their testicles, there is something deep inside you that screams at how wrong that is. 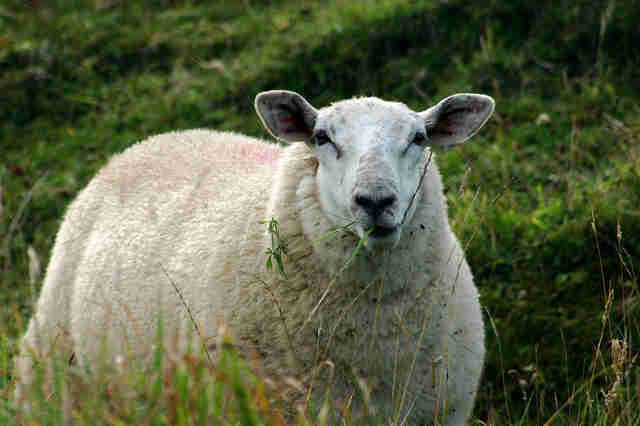 I initially went vegetarian after my dog, Curly, died. That was an incredibly difficult time for me, and I learned that dogs are farmed and eaten in some countries, which shocked me. I then made the connection that there is no difference between a dog, cow, cat, pig, or chicken. I started working in the field a few months later, and shortly after that, I learned of the horrors that dairy cows and egg laying hens endure, and I decided that a vegan diet was the most compassionate choice I could ever make. Is agricultural abuse really widespread, or are you and your team just finding outliers and painting them as the norm? I truly believe that this abuse is more than widespread - it is everywhere. Every farm that I have stepped on, every farm that my friends have stepped on, there have been animals who were suffering, abused, and left to languish. Is it always going to be in the form of a worker punching an animal in the face? No. It takes many forms. It is the hen in the battery cage who can not even spread her wing who is forced to sit on her dead and decaying friend. It is the dairy cow who is continuously raped, has her child stolen, and is forced to walk through manure so deep she slips and falls on her way to the milk machines. And it is the piglet who has a blade tear through his sensitive scrotum and feels his testicles ripped out by a callous hand. Personally, I would rather be punched in the face for the rest of my life than endure any of that. 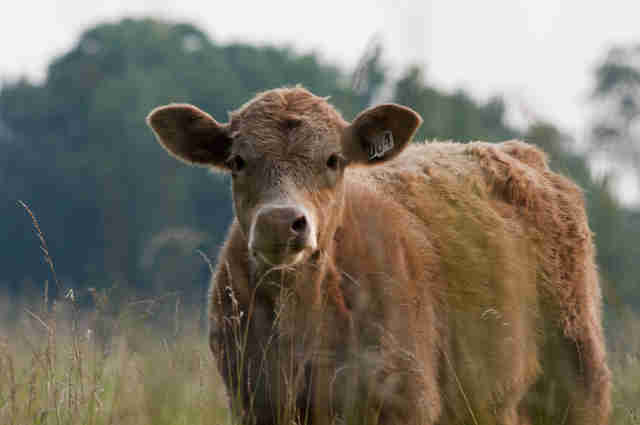 Is humane meat or meat from family farms any better? I would be opposed to it because I am vegan for the animals. Even on small local farms, the animals live a life that is filled with pain, fear, and suffering. There are certain standard practices that all animals endure on farms which cause a tremendous amount of suffering. At the end of their lives, they end up getting their throats cut, and animals (just like humans) are aware that they are about to die and are so fearful of it. Why do workers at factory farms inflict such abuse on the animals? Due to standard practices, such as castration for example, the farm workers are forced to inflict pain and cause suffering on the animals. Having to do these practices all day long, over time, warps the worker's minds, and they get very desensitized. When cutting into the flesh of an animal and ripping out a body part, all without anesthesia, is not only legal but also your job description, suddenly punching and kicking does not seem so bad. Also, due to the speed required at these farms, the workers are forced to cut corners and act in ways that ensure their jobs get done in the right amount of time. These means that if they need to hit an animal to make them move faster, they will, because they rely on that paycheck. How does ag-gag legislation affect your investigations? I feel that ag-gag laws are being passed due to the relationships between politicians and local farmers - and the lobbying interests of those farmers. These laws are a clear infringement on our First Amendment rights. They have a large impact on our investigations. We follow all of the state and federal laws, so when a state passes an ag-gag law, we have to stay out of that state. Once the law gets overturned, which they eventually will, we will happily go back. What can the average person do to make a difference? I think that it goes beyond boycotting products from some specific companies. The most compassionate and efficient way to help animals is to leave them off of your plate - from any company. After my Smithfield investigation, my best friend said that he would never buy a Smithfield product again. I had to explain to him that all companies treated the animals the same. Once you are at that point, the best thing to do is to help spread awareness. Did being a bodybuilder help you in your investigations? Actually, yes. It has helped me get out of eating meat plenty - because I use people's stereotypes against them and they think that there is no way I could ever be vegan. How does witnessing such abuse affect you? And how do you deal with it? Working in those conditions definitely has a lasting impact on your mind and body. It changes you as a person. There are certain things that I will never, ever forget. But, I don't want to forget them - I think it would be an injustice for the animals if I was to look the other way and try to forget. It certainly has its difficult moments. I think that you cannot avoid letting it scar you - but how people handle that scarring is always different. I have not gone to therapy for it, but I know other investigators who have and they have said that it works well. Some investigators do yoga or meditate to help. For me, weightlifting has always been my crutch to help me through. The release of endorphins helps me focus and gives me clarity in a way that nothing else can. What was the single most horrifying incident you witnessed? The moment that has stuck with me the most may not be the most horrifying, but for me was the most emotional. It was during my Smithfield investigation when we had to kill a boar who was injured. There were three other workers who were trying to get him out of his crate, and I was off to the side. He knew what was going to happen. Two workers were using snares (one around his snout and one around his ear) and one worker was hitting him on his back with a gate rod. He was screaming out in pure terror - and fought with everything he had. He was clawing at the ground to stay in his crate. It took several minutes for the three workers to drag him out - and he fought the entire way. They pulled him outside and bolt-gunned him. After several minutes, the manager decided he was still alive, and shot him again. He went through a tremendous amount of suffering and terror - but through it all, he never gave in. That moment will always stay with me. To read more of the AMA, visit Reddit. You can find out more about Wolf's work on Compassion Over Killing's website.